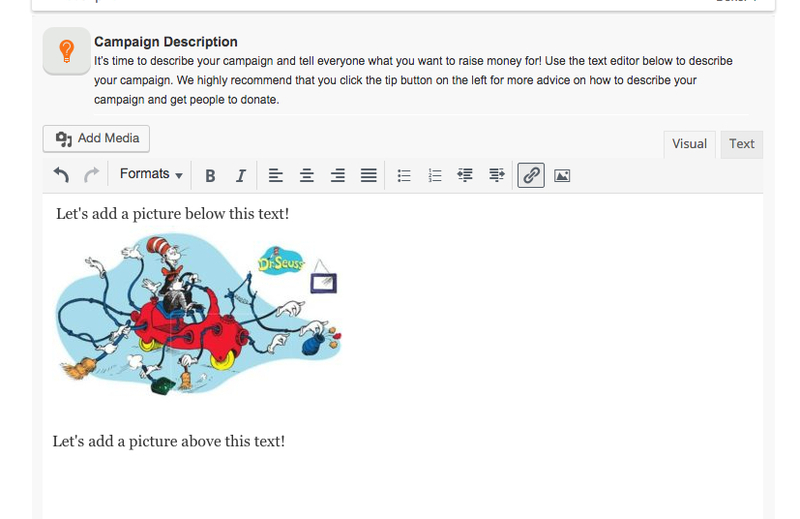 Our platform allows you to add images in between your text description of your campaign to make your story more visually compelling. This tutorial will explain to you how to do it. 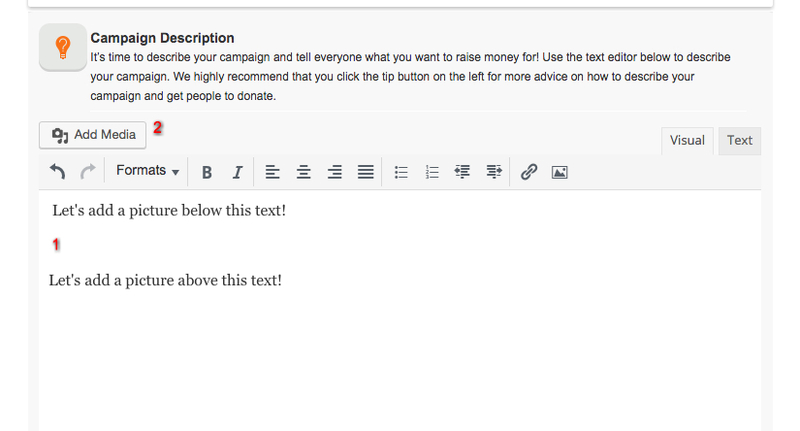 Please read it all the way to the end as it contains important suggestions that would help you raise more money. Images you upload should not be too high so the viewer does not need to scroll too much. Ideally about 400 pixels high. 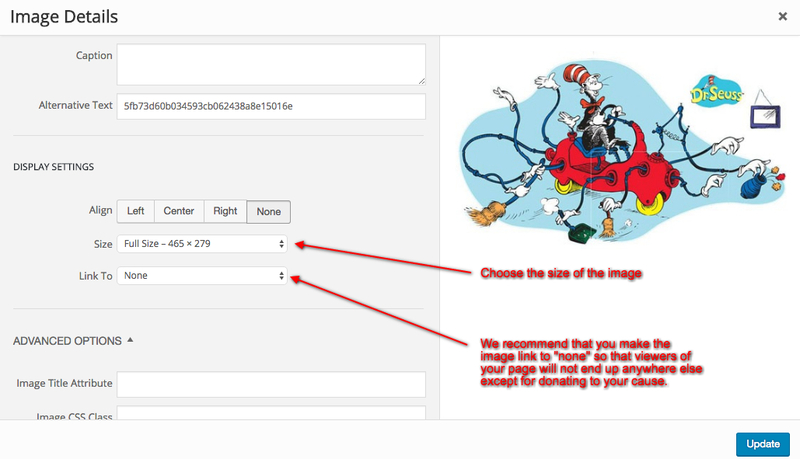 Images should cover the whole width of your description. 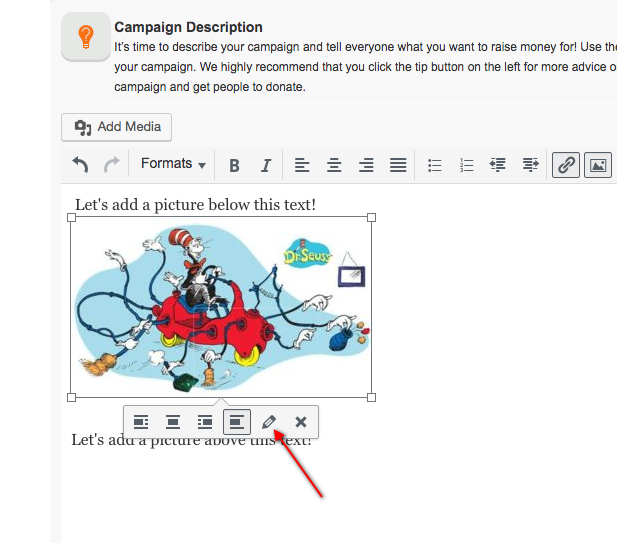 Images should not link to any page externally to your campaign (you want to keep viewers on your page to donate). 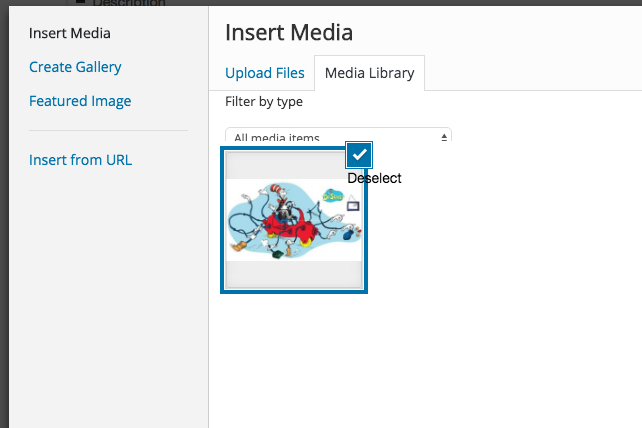 Then click the “Add Media” at the top (see “2” in the image above). Change the “Align” to “Center”. Change the “Link To” to “none”. Change the “Size” to “Full Size”. 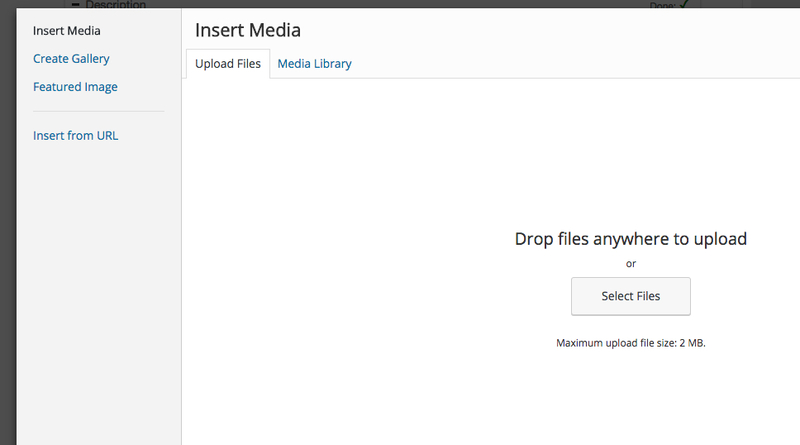 Click “Update” and you would see the image in full width on your description (as long as the image is large enough).